Trade union Cosatu plans to use its congress to send a strong message to the governing party regarding the alleged plot. The ANC alliance is concerned about an alleged plot within the party to oust its president, Cyril Ramaphosa, News24 reports. The Sunday Times reported at the weekend that Ramaphosa’s predecessor Jacob Zuma and his supporters were plotting to oust the current ANC leadership, particularly Ramaphosa. 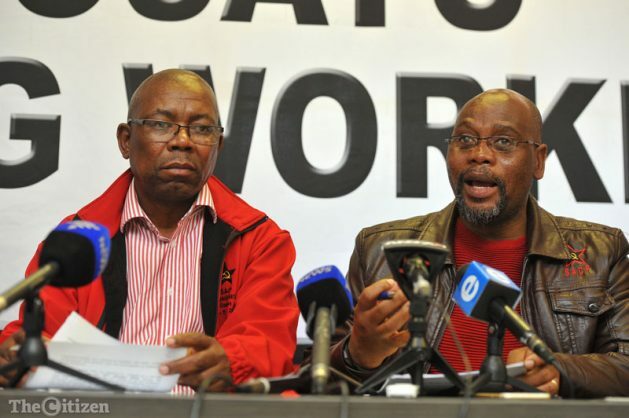 Congress of South African Trade Unions (Cosatu) secretary general Bheki Ntshalintshali told the news site that though the alleged plot is under wraps, all that is happening in the organisation is seen by everyone. Reportedly, the alleged plot is also being carried, in cahoots with Zuma, by ANC secretary general Ace Magashule, and former North West premier and recently removed party provincial chair Supra Mahumapelo. Ntshalintshali was quoted as saying that though the ANC has denied the report of an alleged plot, everything indicates that Zuma supporters are fighting back. The trade union secretary-general said a strong message would be sent to the governing party at Cosatu’s congress. “If there is anyone who thinks they can get the current president winning elections and then removed, so others can come back… we should be able to say to the president: ‘dissolve Parliament and start afresh’. Our votes are not going to be free. You can’t use another person to hunt, but when they eat whatever has been found they push you aside,” Ntshalintshali was quoted as saying. Ntshalintshali reportedly questioned whether Magashule would rebuke individuals who drag the party to courts because those behind recent challenges to the party’s decisions are linked to Mahumapelo, the ANC secretary general’s known ally. Meanwhile, a video clip surfaced on social media of Magashule speaking at an event (this publication could not confirm when and where it took place) where the ANC secretary general is urging party members to stay focused for a period of five years until the next elective conference, where they could bring back the party they know. The governing party has denied an anti-Ramaphosa plot, with its chief whip Jackson Mthembu requesting the ANC’s national executive committee to probe the plot to oust the president.